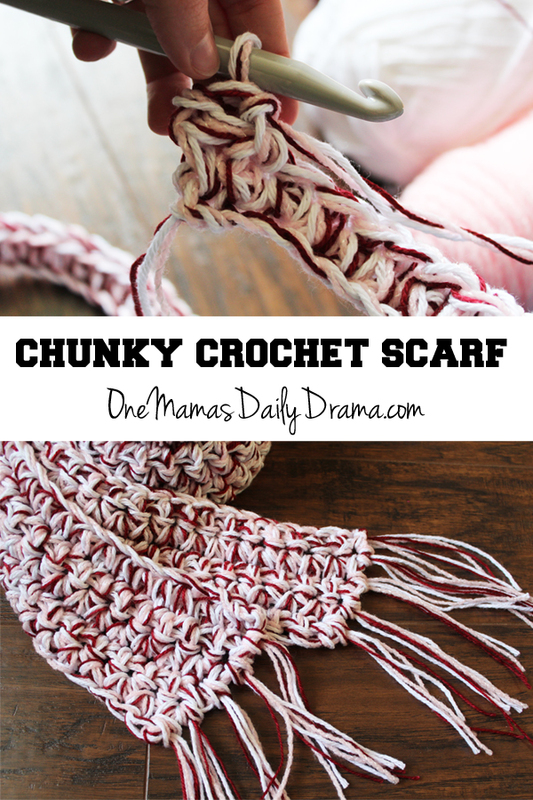 Making a Crochet scarf is a great beginning crochet project. Once you learn the stitch pattern, it mostly repeats until the scarf is long enough. If spending several hours crocheting a scarf sounds intimidating, this chunky scarf tutorial is done in just 2 or 3 hours only. The trick is using an extra large hook and several strands of yarn at once. See the full pattern here.